The book is lavishly illustrated with high quality color images that demonstrate the relevant pathological features and immunohistochemical and molecular markers. The text features a well-organized approach that incorporates practical tips and clues to help avoid pitfalls and to ensure optimal diagnosis. Chapters have been totally rewritten and new chapters have been added, especially on myeloid malignancies. All chapters have been revised to include new aspects of molecular biology and flow cytometry diagnostics. 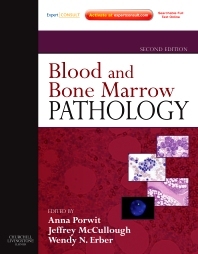 Many new schematic diagrams and color illustrations have been added to illustrate blood and bone marrow pathology. Access the full text online and download images via Expert Consult.